Low energy consumption: With two conventional AA batteries, the sensor can operate for a full year. 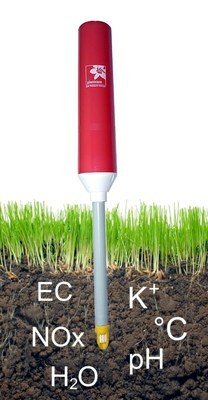 Small design: The sensor can be placed in the field within seconds. Fast response time: Changes in soil moisture or fertilizer concentration are detected within a few seconds.